This was the word art for May the Fourth, aka Star Wars day! 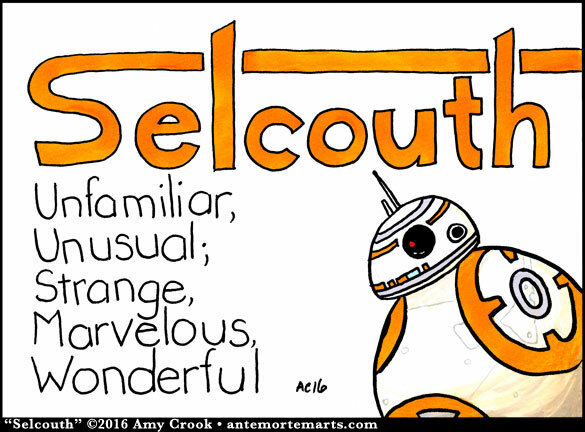 Selcouth seemed to perfectly fit the fantastical world that was at once strange, marvelous, and wonderful, and of course BB-8 wanted to guest star as the perfect avatar of all of the above. Come join me tomorrow on Periscope (starts around 2-3pm Pacific) and see what new word gets brought to life!